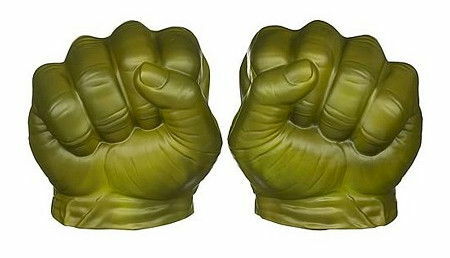 “Hulk smash!” is one particular phrase that we are all familiar with, and if you would love to be the Jade Giant (or at least, do your part to get dressed up as one), then you might want to check out this $33.95 Hulk Hands that are cooler than cool. Needless to say, you will have to wear these Hulk Hands over your hands like gloves, and they will be able to fit most of the hands out there – unless you’re the Hulk himself, of course. They are not going to do much smashing however, and neither will they be able to protect you if you use your full strength, since it is made out of soft foam alongside fine details, coming in realistic gamma, green skin. At least you won’t be bombarded by gamma rays, that’s for sure.